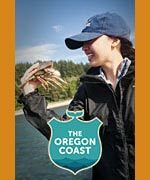 (Yachats, Oregon) – Somewhere between Yachats and Florence, in that heavenly netherworld of hidden beaches of the northern edge of Lane County, a surreal little wonder called Strawberry Hill sits tucked away in a kind of beachy middle of nowhere. Look for Milepost 169 (or about a mile south of Neptune State Park and the Cummins Ridge Trail) along this winding, hilly section of Highway 101, where the rugged and untamed far outnumber the occurrences of the civilized. The road rises and drops like a roller coaster at times, and the nearly-aerial views and viewpoints abound, seemingly almost every second. Strawberry Hill Wayside, however, lurks behind a stand of trees, and it isn't really one of those stunning ocean vistas that explode all around you as you drive along this part of the central Oregon coast. You have to work a bit to find it. But when you do, you stumble across a goldmine of fun and funky places to explore and a constant stream of surprises both serene and surreal. From the small parking lot adjacent the highway, there are some grassy spots to picnic or just enjoy the view. Take the stair-like pathway down and you quickly encounter this miniature cove with its labyrinth of rock structures and blobs interspersed with tracts of sand. Tidepools can abound here, but sometimes you have to work to find the best of them. It's easy – and understandable – to simply settle for hanging out at this hill, watching the waves crash and soaking in the scenery. After all, it takes a bit of effort to hop down off that basalt ledge and into the sandy cove. That is the point, however. It's down there where the treasures lie. Trudge a bit further towards the edge of Strawberry Hill and those rocky blobs start to reveal some things you've never seen before. Like this curious rock formation: a sort of towering bulb-like shape apparently made from the sandstone cliffs just behind it. It looks a bit like those odd towers of rock in China, or perhaps something out of a Roger Dean album cover for prog band Yes. Indeed, it likely is from those cliffs in back of it, apparently eroded away. The geology of Strawberry Hill starts to tell really strange stories from here on. Like what is that chunk of driftwood embedded in it? Stranger still, from the side facing the cliffs, you see a massive hole in the mushroom-shaped blob – and what appears to be a log piercing the inside of the structure. Around the blob formation, the bottoms of the cliff show further signs of erosion with more surreal shapes and indentations. These holes, dug out by the tide over who-knows-how-long, are slowly becoming little sea caves. Head farther towards the very edge of Strawberry Hill and the rocky ledges show off more starfish wonders. These ledges also start to to further reveal how intricate they are. One meandering crevice after another appears, forming even more labyrinth experiences. In between, more sea life makes their presence known, providing splashes of purples, reds, greens, emerald and orange against the stark black rocks. You'll find Strawberry Hill about MP 169 on Highway 101, between Yachats and Florence. A word of caution, however: the sandy areas are not always accessible, and this can change drastically with the tides. Keep beach safety in mind and do not venture down if the breakers don't leave you at least 100 feet between them and the cliffs. 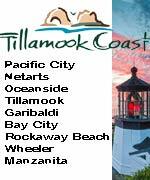 More about this part of the central Oregon coast at the Lane County Virtual Tour, Map.